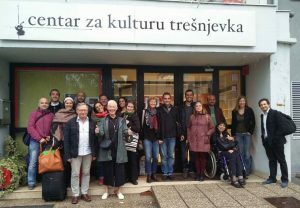 Our project officially started at a kick-off meeting in Zagreb, Croatia on Tuesday 12 and Wednesday 13 September 2017. The art directors from the partner countries met in Brussels, Belgium on 1 December 2017. They discussed their vision for the different performances of the Kukunor. 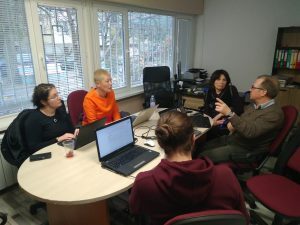 A consortium meeting took place on 7-9 March 2018 in Sofia, Bulgaria. Project managers and art directors held concurrent meetings to discuss relevant aspects of the project. All participants attended rehearsals of the Bulgarian version of Kukunor. A project meeting with all partners was held in Lisbon on 18th October 2018. This was followed by an Open Workshop with Eero Enqvist, on the morning of 19 October. That evening, partners had the opportunity to watch the final dress rehearsal, and the premiere was then presented at Teatro do Bairro on 20 October 2018. On 20 December 2018, partners met at GC De Zeyp to work on the guideline document being produced as an output of this project. A partner meeting will take place on 8 and 9 April 2019 in Tampere, Finland. 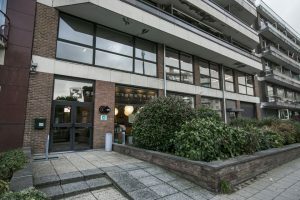 Partners will work on the guidelines output draft being produced in Quarter 1 of 2019, as well as discussing the final conference to take place in autumn 2019.